The Fairborn Community Library is undergoing minor construction that is expected to be completed by the Thanksgiving holiday. Whitney Vickers | Greene County News The Fairborn Community Library is receiving upgrades to its restrooms. 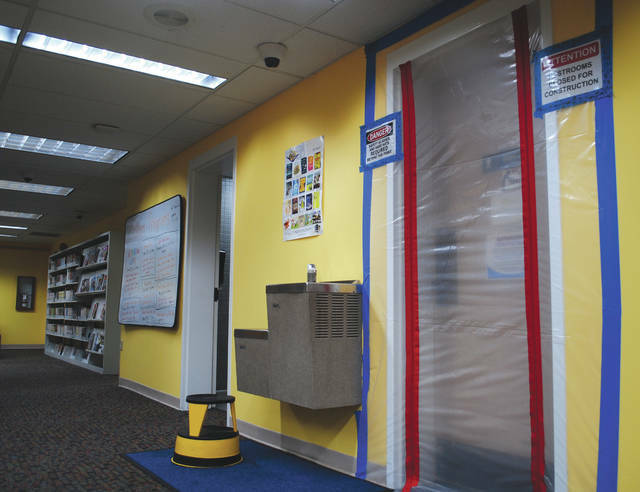 FAIRBORN — The Fairborn Community Library is currently under minor construction. All four public restrooms as well as the single staff restroom will be renovated by the Thanksgiving holiday to meet ADA standards and improve the aesthetics and functionality. The local library will remain open as the project takes place. The parking lot nearest to the library will also be resurfaces and re-striped and will have a new ramp and railing installed. Cooper is expecting the parking lot construction to start in the coming weeks — before construction season comes to an end. All four (upstairs and downstairs) restrooms will also receive new tiles, fixtures and changing tables. The downstairs facilities will be altered to be family restrooms with single occupancy. The downstairs water fountain will also be upgraded to include a water bottle fill station as the upstairs fill station is a popular fixture. There is currently one restroom open at the library while the remaining three are under construction. However, as the other three restrooms reach completion, the remaining restroom will go under construction while the completed three will open up for use. Cooper said the project is being completed in stages in order to keep at least one restroom open at all times. As a result, Cooper said the construction will take longer to complete but it was the only way to keep the library open while the project is underway. Staff will assist patrons with accessing the facilities. 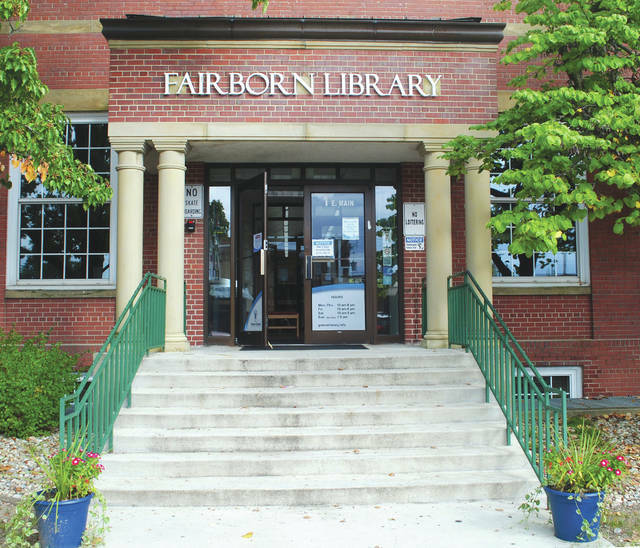 According to a press release by the Greene County Public Library system, the building is the community’s former post office and is owned by the City of Fairborn. The release added that the construction is a joint project between with the library and the city. Fairborn Community Library was renovated in 2009 and was upgraded last year to include new paint and ceiling tiles, the release said. Armcorp is serving as the general contractor, while a variety of other contractors are also involved to complete jobs such as plumbing and painting. K4 Architecture LLC. designed the project to ensure compliance with ADA standards. For more information about the library, visit greenelibrary.info. https://www.fairborndailyherald.com/wp-content/uploads/sites/50/2018/10/web1_libconstruct3.jpgThe Fairborn Community Library is undergoing minor construction that is expected to be completed by the Thanksgiving holiday. 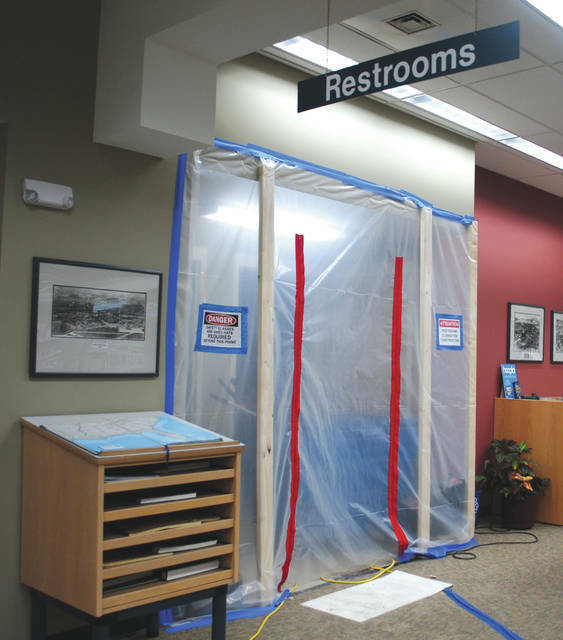 https://www.fairborndailyherald.com/wp-content/uploads/sites/50/2018/10/web1_libconstruct1.jpgWhitney Vickers | Greene County News The Fairborn Community Library is receiving upgrades to its restrooms. https://www.fairborndailyherald.com/wp-content/uploads/sites/50/2018/10/web1_libconstruct2.jpgWhitney Vickers | Greene County News The Fairborn Community Library is receiving upgrades to its restrooms.